Once you arrive in Key West, park the car at the Southernmost Hotel on the Beach, or the Popular House bed and breakfast if you’d like a more quiet, intimate stay. Check in to your room, but don’t unpack just yet. After all, by now it is lunch time and Key West has no shortage of restaurants to choose from. Hop in a pedicab (a human-powered bicycle taxi) and ask the driver how much it will cost to whiz you down to Caroline’s Café for a quick bite and a margarita (or two). During the ride, be sure to pick his brain on tips and suggestions about his favorite things to see and do in the area. At Caroline’s, the juicy burgers are the best in town, and while you wait you can watch the interesting crowds of people passing by Duval Street, the city's main artery. You can try Key West’s infamous seafood restaurants later – it’s time to wander and get to know what this “one human family” slogan is all about. Poke your head in the art galleries along Duval Street, check out Kermit’s Key Lime Shoppe, and stop by Peppers for a sampling of the local flavors. Spend a half an hour or so enjoying the view of the city from the Key West lighthouse (the keepers quarter’s are worth a visit as well and are included in the admission), before heading down to Mallory Square for the Sunset Celebration. 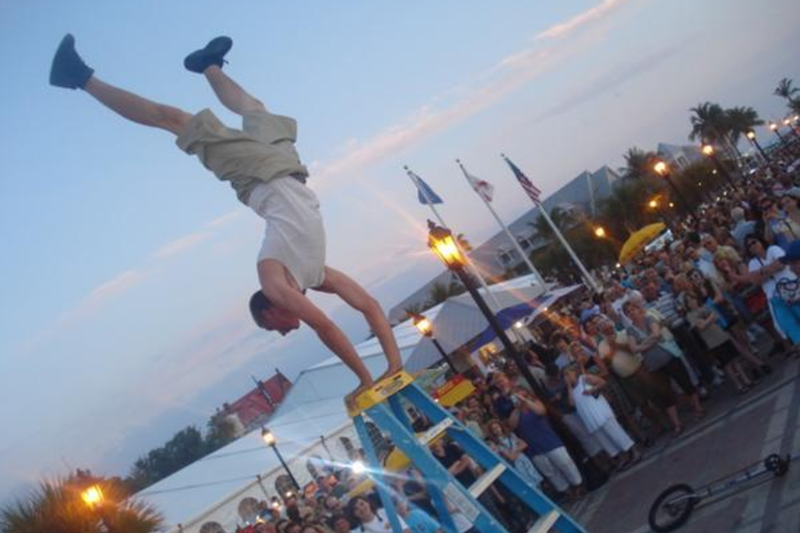 Street performers, musicians, and artists all gravitate to the pier for the nightly event that is a must-do for any visit to Key West. Be sure to bring your camera! After the sun dips and you swap your tropical shirts and tank tops for some evening attire (or don’t, anything goes in Key West! ), head to Seven Fish for dishes like fresh grouper with mango papaya or cobia with peppercorn-Dijon glaze – but be sure you have reservations! After, you can take in a drag show at the Crystal Room at La Te Da and laugh ‘till it hurts. If you're still full of energy after all that, Sloppy Joe’s is where the action (and the tourists) collect for good vibes and strong drinks – but don’t stay out too late! Tomorrow you’ll be up early for breakfast at Blue Heaven (the lobster omelets are the way to go), followed by a Dolphin Safari cruise and snorkeling tour with Captain Gary. Or, if our jam-packed itinerary tuckers you out, take it easy and head to Fort Zachary Taylor State Park in the morning for a little yoga and “R&R” on the beach.